Ships tomorrow if you order in the next 19 hours 9 minutes. 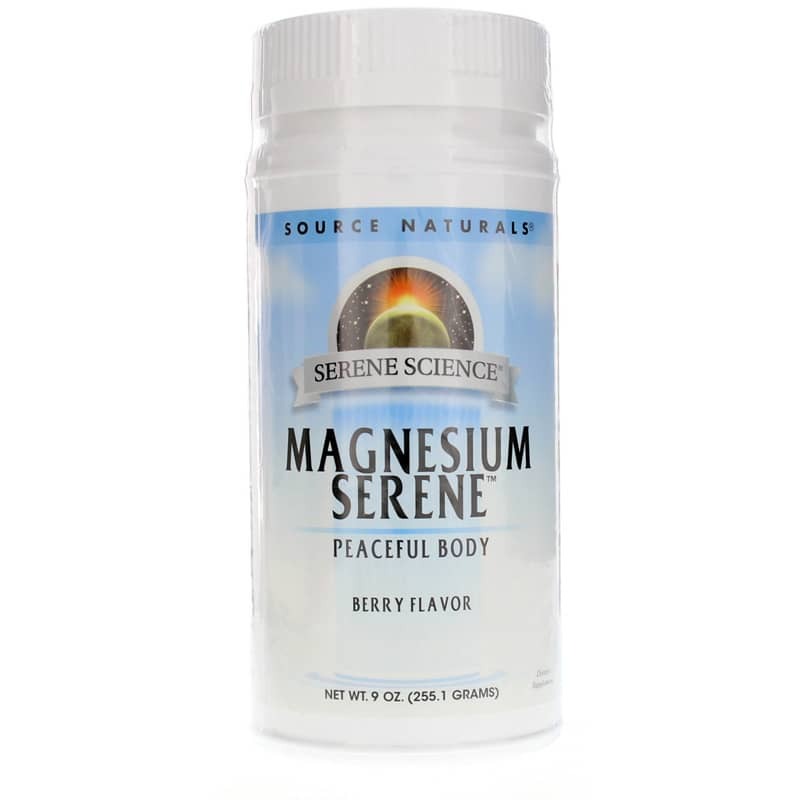 Magnesium Serene in Berry flavor from Source Naturals is a tasty and convenient magnesium supplement that provides nutritional support relaxing your mind and body. Magnesium is one of the most important minerals for our health, playing essential roles in over 300 enzymatic processes in the body. Many of those roles involve our ability to relax, a need that's too often ignored in our fast-paced and stressful modern lives. Magnesium supports muscle relaxation, heart health and the calming of nerves - all things that can be affected when we're under stress. And when we're stressed, magnesium levels in the body can be affected making it doubly difficult to relax. That's where Magnesium Serene comes in. 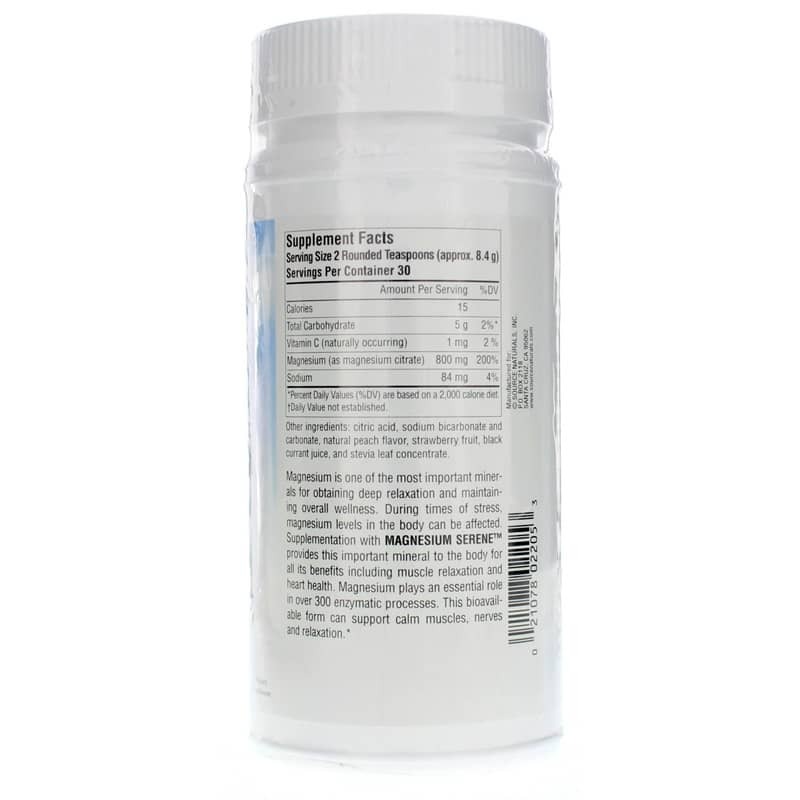 In an easy-to-use, berry-flavored powder that you simply add to water, this supplement provides 800 mg of magnesium per serving - that's 200% DV for optimal relaxation and nutritional support. And to take the stress of food allergies off your plate, Magnesium Serene is free of yeast, dairy, egg, gluten, soy and wheat. Plus, you get great berry flavor without sugar, preservatives, or artificial color, flavor or fragrance. This product is also suitable for vegetarians. So enjoy a tall glass or serenity for your health. 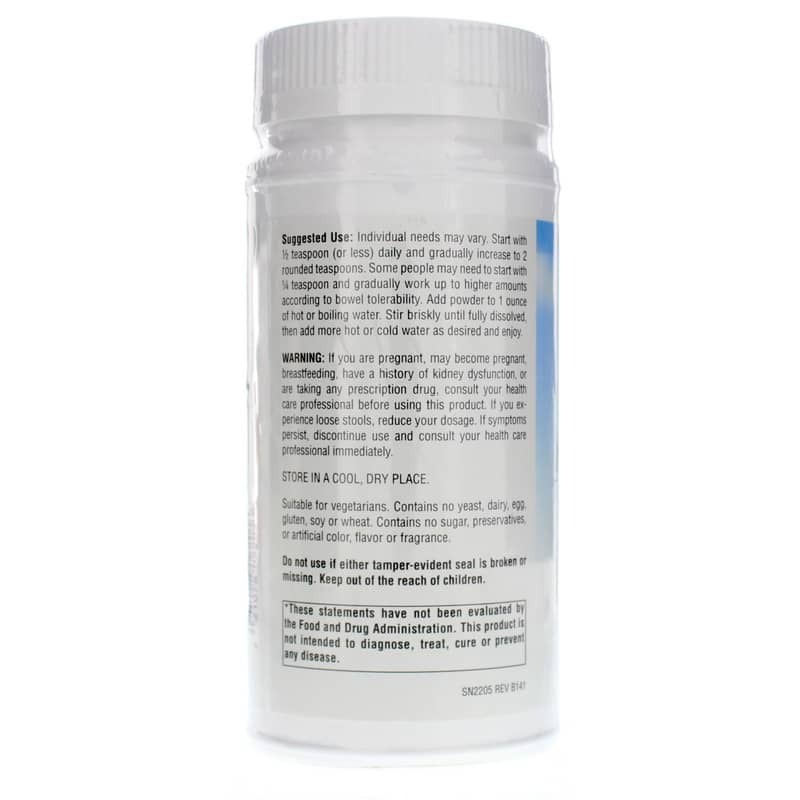 Order Magnesium Serene. Contains NO: yeast, dairy, egg, gluten, soy or wheat. Contains no sugar, preservatives, or artificial color, flavor or fragrance. Vegetarian. Adults: Individual needs may vary. Start with 1/2 teaspoon (or less) daily and gradually increase to 2 rounded teaspoons. Some people may need to start with 1/4 teaspoon and gradually work up to higher amounts according to bowel tolerability. Add powder to 1 ounce of hot or boiling water. Stir briskly until fully dissolved, then add more hot or cold water as desired and enjoy. If you are pregnant, may become pregnant, breastfeeding, have a history of kidney dysfunction, or are taking any prescription drug, consult your health care professional before using this product. If you experience loose stools, reduce your dosage. If symptoms persist, discontinue use and consult your health care professional immediately. Do not use if either tamper-evident seal is broken or missing. Keep out of the reach of children.